Ok. I admit it. I'm old. 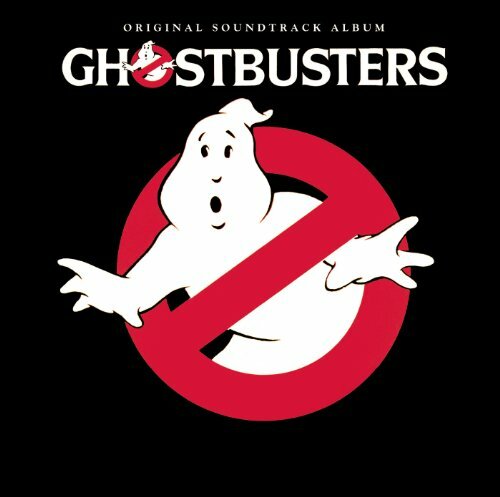 It seems like it was yesterday I was sitting in the movie theater next to my dad being scared out of my mind by the ghost librarian and Slimer. Hey, I was seven, okay? I may have been freaked out a little by Ghostbusters at the time, but it didn't keep me from watching that movie every time it came on. It's at the top of my list as far as '80's classic movies go. What's surprising to me, though, is after all these years, the movie is still loved by not just those of us who saw it in 1984, but those who weren't even born yet. Hmmm...I'm getting that old feeling again. References to the movie were in theaters, on the radio, MTV, and at a playground near you. I was such a dorky kid, I was clueless. My sister asked me the hip new question while she was driving me around in her Thunderbird one day. All I can say is it's a good thing she asked me that question before the kids at school did, because I would have been shamed out of the second grade. 30 years later, I can truly appreciate Ray Parker, Jr.'s awesome songwriting skills. Really, how many times in your life has a movie theme song gone mainstream and become part of American culture? 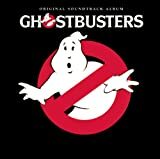 The Ghostbusters theme song went viral before any of us knew what viral was, because for those of you under 35, going viral in 1984 was a bad flu outbreak. He's so ugly he's cute. 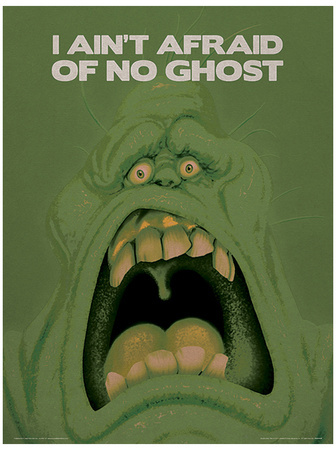 As I said earlier, Slimer scared the heck out of my seven year old self. He was green and gooey, and, well, a creepy looking blob. 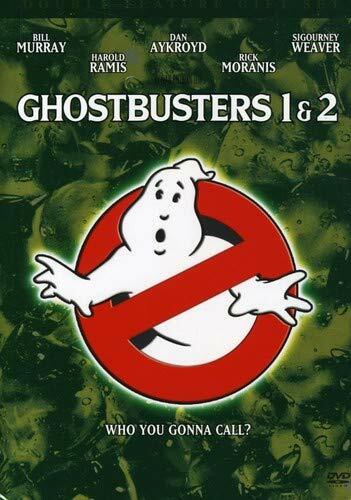 After watching the movie for the, I don't know, fifth or sixth time, Slimer gradually started to grow on me. As more time went by, the cuter he became. Too bad the same wasn't true for some of my boyfriends. 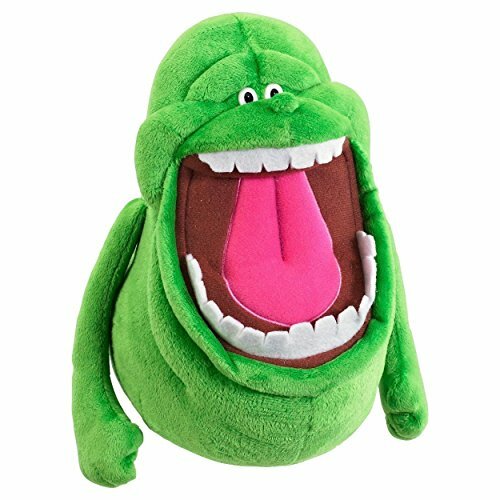 If they had had talking Slimers that was as cute as this plush toy, I think I would have warmed up to him a lot earlier. Children are a lot more sophisticated now than they were back in 1984, so they may not be as disturbed by the gooey guy as I was. 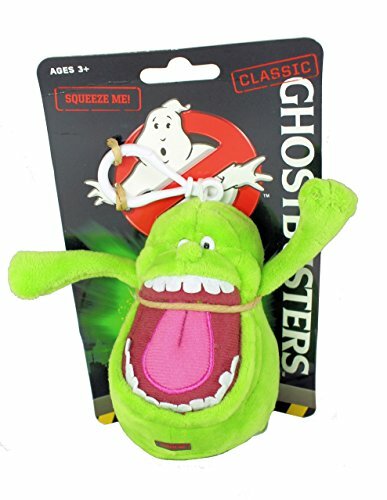 But if Slimer does make them nervous, holding their own snuggly toy would be just the trick to calm them down and turn them into the next generation of Ghostbusters fans. 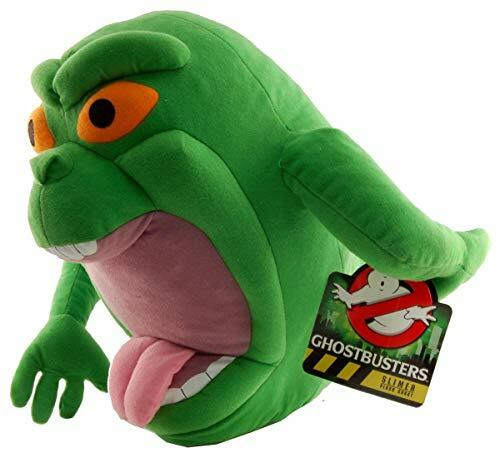 Slimer really wasn't supposed to become as popular as he did. In the original movie, he didn't even have a name. The poor guy was only known as a "focused, non-terminal repeating phantasm or a Class 5 full roaming vapor." But Slimer didn't let that get him down. 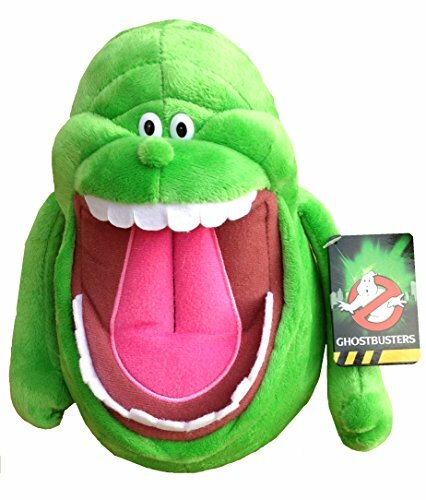 The ghostly version of a trash compactor, Slimer ate, burped, and gassed his way into the hearts of America and eventually got a starring role in the cartoon, "The Real Ghostbusters." My son is 18 now, but when he was younger, I exposed him to the great cartoons of the '80's. The Real Ghostbusters was one of the first ones I showed him. He thought it was lame at first, because, really, who wants to watch stuff your mom thinks is cool? But I turned him into a believer, and he's still a diehard Ghostbusters cartoon watcher. 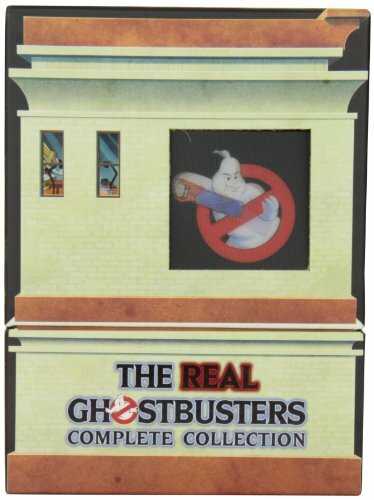 If it's been a while since you saw "The Real Ghostbusters," this collector's edition is the perfect way to relive your childhood memories and share them with your kids. Every episode is included in this 5 disc DVD set that comes in an awesome replica of the firehouse. Along with the DVD set, there's also a companion book that's full of background information and trivia about the show. My favorite character right from the start. The Stay Puft Marshmallow man was one of my favorite scenes from the entire movie. He looked so soft and cuddly and innocent, I just wanted to squeeze him and take him home with me. Up until the guys ticked him off with their proton streams that is. Then I was like, Daddy, take me home. 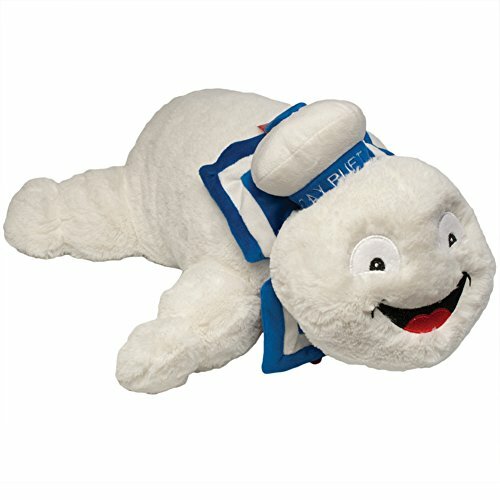 If there ever was a character that made a perfect pillow pet, it's the Stay Puft Marshmallow Man. 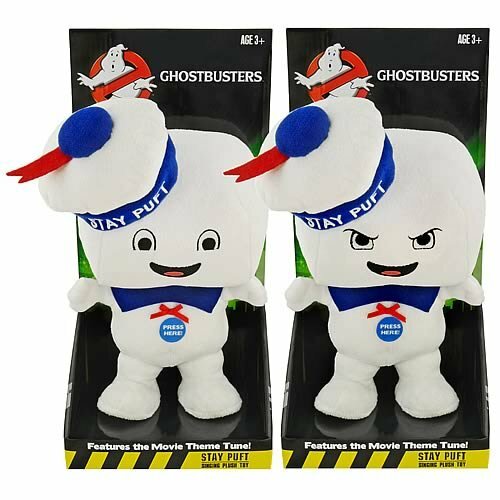 In this non-evil form, he's everything you'd think Mr. Stay Puft would be: soft, huggy, and comforting. 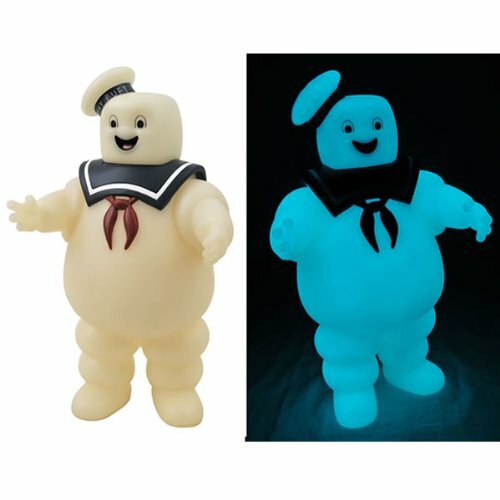 Even if your kids haven't seen the movie yet, their fluffy marshmallow man will soon become their favorite toy. And if we're being honest here, I'm sure the big kids reading this will want their own fluffy marshmallow man, so buy two so you don't have to share. Sarcastic, sweet, and brainy, and all of them rolled up into one movie. Looking back, all of the Ghostbusters men were kinda cute in a geeky kind of way. But in 1984, I had a major crush on Ray. I thought he was so cute and funny, I just knew we'd make the perfect couple if he'd just meet me. That's not to say I didn't like the other guys. They were just as awesome in their own weird way. I have to say at first Peter turned me off because I didn't like how he flirted with the ditzy girl and zapped the heck out of the guy during the psychic test at the beginning of the movie. But, I'm a sucker for sarcasm, and Peter had plenty of great lines throughout the movie and he redeemed himself. 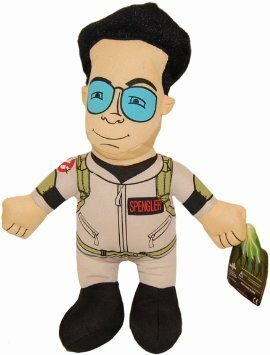 And who could forget Egon? I have a special place in my heart for him because he basically had no personality but was a master of deadpan humor. Why couldn't they have had cute plush toys like these when I was a kid? Ray would have been my constant companion. I guess we just weren't meant to be. 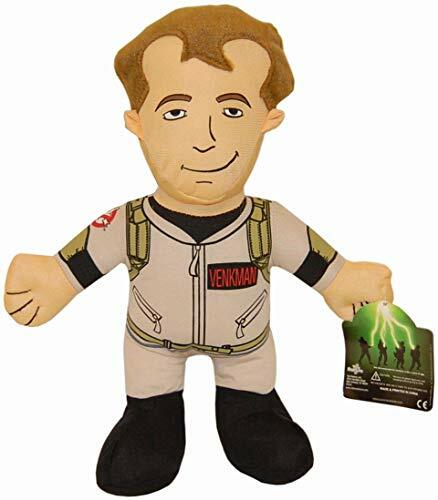 But these officially licensed plush toys can be enjoyed by the youngest to the oldest Ghostbusters fans. They're washable, super soft, contain no small or removable parts, so they're even safe for babies. 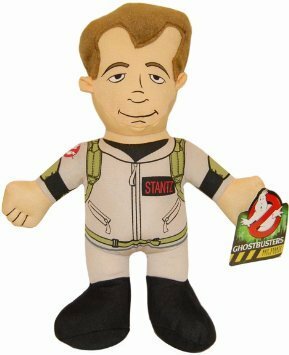 When I was seven, if I wanted to play with Ghostbusters toys, I had to bum action figures off of my boy cousins. It's hard to believe that toys I once played with are now considered antiques. 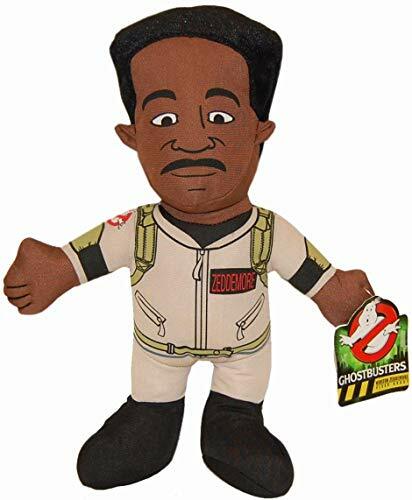 I wish I would have swiped some of my cousins' army of action figures, because now original Ghostbusters toys are sought-after collector's items. Who Was Your Favorite Ghostbusters Character? 100% brand new,exquisitely detailed design.High Quality Back Closure. Good acting, combined with classic comedians, are what makes this movie timeless. 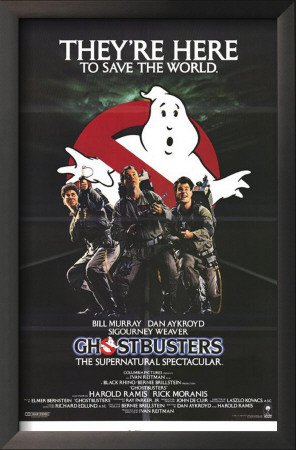 Ghostbusters was a low budget movie from the '80's that unexpectedly became a cult classic. It's fresh and entertaining, even 30 years later. Whether you're more, um, mature like me, or you've only recently seen it, Ghostbusters is a movie you can watch over and over again and never get tired of. 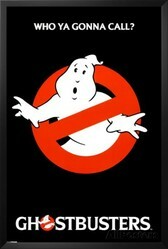 Here's to 30 more years of Ghostbusting fun! I only watched Ghostbusters yesterday. With all the publicity over the sad death of Harold Ramis, I was lured into reliving my childhood too. I can confirm that Ghostbusters is as good now, as it was in 1984! Wow, your husband must have really liked that movie @ologsinquito! A friend of mine told me she went out on her first date to see it. I'm even older than you. I was dating my husband when this movie came out. He and his buddies must have seen it at least a dozen times. The items you featured would really appeal to a lot of middle-aged men trying to recapture a little bit of their youth. They'd probably make great Ghost Busters gag gifts.